Sedona AZ– On Wednesday, June 19, 2013, the Sedona City Council held a Special Council Meeting to direct staff’s next steps regarding Arizona Public Service company’s plan to install smart meters in Sedona. Both the Utility and the Sedona Smart Meter Awareness (SSMA) group presented information about smart meters. After presentations were completed, the Mayor of Sedona made statements that are probably among the most thoughtful comments ever made by a government official on the topic of smart meters in the time span of a few minutes. After all the reports, presentations, and web postings, etc., it could finally be condensed down to a just few plain-spoken words and some common sense communicated by the Mayor of a fairly small, scenic town in Arizona. Mayor Adams’ comments are available for listening by clicking on the link below. The total audio clip is about seven (7) minutes long and concludes with a vote by the City Council to request a City-wide opt-out for smart meters in the town of about 10,000 residents. If you have time, please listen to the Mayor’s comments. He questioned whether Savings would ever occur for the consumer. The Mayor indicated that the fire safety issue was not a major concern for him on smart meters, but yet when a fire occurs with potential loss of life, it is a concern. On privacy, the Mayor believes that any wireless transmission can probably be hacked into. On opt-out fees, the Mayor stated they were totally inappropriate and that it doesn’t make any sense to penalize the consumer for not wanting the added risks associated with smart meters. Toward the end of the meeting, a motion was made, seconded, and carried by majority vote as shown below to request a Sedona city-wide opt-out for smart meters. * Commentary: In listening to the Mayor’s comments, it would appear he has recognized the growing disparity between the medical community’s perspective on the possible health effects of RF radiation versus the Federal Communications Commission (FCC) and related organizations with interests in the telecommunications industry that continue to insist (with their heads in the sand) that only thermal RF effects are relevant in setting exposure standards intended to protect the public. Once one reviews the collective evidence, the FCC’s position is no longer tenable. 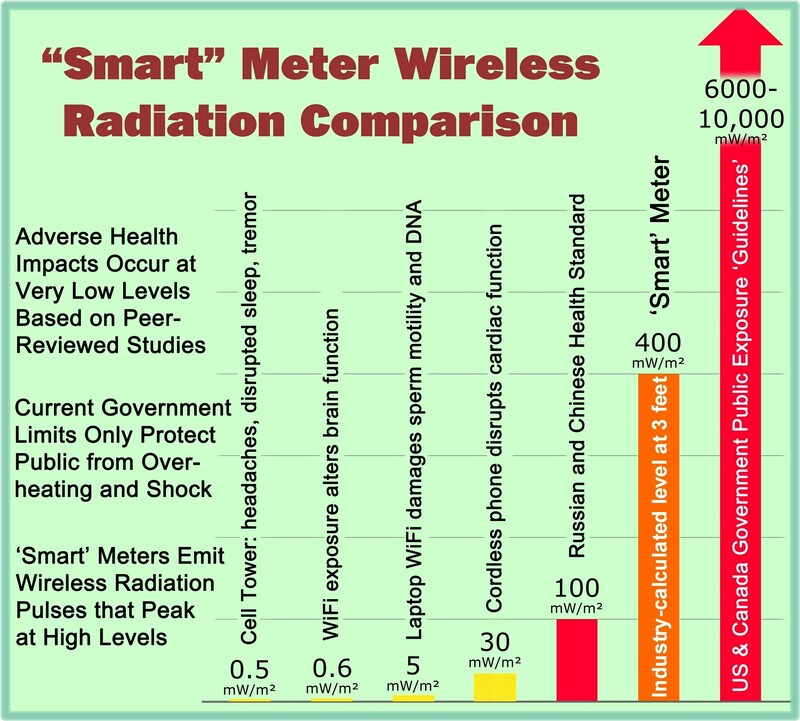 That is not to say that smart meter emissions can yet be proven to be “harmful” with certainty, but if the FCC exposure guidelines are no longer credible because they essentially deny the existence of non-thermal RF biological effects or exposure mechanisms, then you no longer have a legitimate basis to be able to state what is safe. This entry was posted in Smart Grid, Smart Meters, and RF Emissions and tagged Opt-Out, Sedona, Smart meter. Bookmark the permalink.